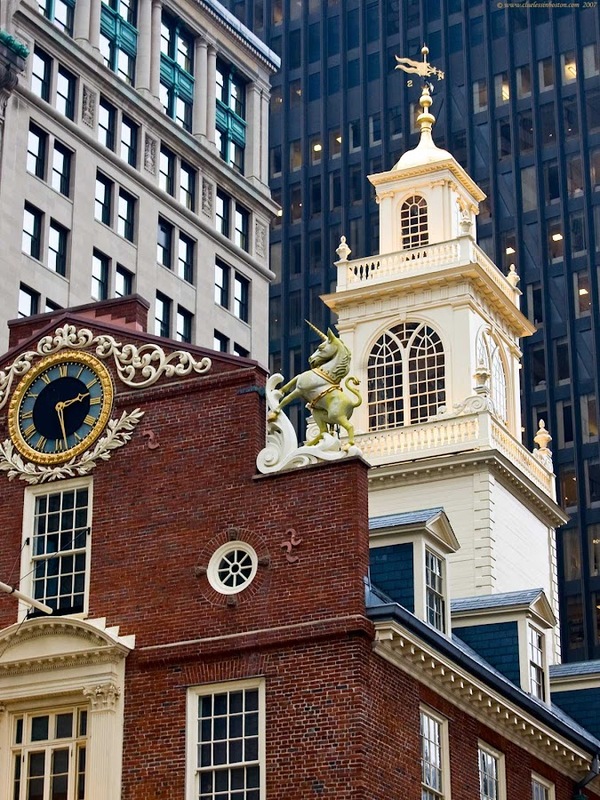 Detail of the Old State House and its Unicorn. One of my fave Boston building! And not that easy to capture! a wonderful view. it's a shame they have dwarfed this beautiful building with those glass towers. The Old State House looks very similar to the Old Congress Hall in Philadelphia. Seems that these two places of History look much the same, even though they are in different parts of our Country. I probably will be taking another short drive back to Philly to walk around the Historic Park. I think that I have something posted about it in my Blog. Not sure.